Not satisfied with last year’s massive “asylum” invasion, the Angela Merkel regime has now made an unconditional offer of asylum to all Turks who claim that they have been “persecuted” by Turkey’s government following the failed coup in that country. The offer is likely to spark off a new wave of hundreds of thousands of nonwhites claiming to be Turks flooding into Germany, just as the “asylum” offer to “Syrians” sparked off a similar invasion in 2015. Turkish soldiers who took part in the failed coup after their arrest. The newspaper added that according to official figures, around 35,000 people were arrested on the orders of President Recep Tayyip Erdogan following the failed coup, and “tens of thousands” of others were released from the state service. The Federal Foreign Office has now recommended the granting of “political asylum” to all “politicians, journalists, artists, and academics” affected by Erdogan’s crackdown. The SPD politician—who is part of Merkel’s ruling coalition—said that “Germany is a cosmopolitan country and is open to all politically persecuted persons. You can apply for asylum in Germany. This is true not only for journalists. “What is currently happening in Turkey has nothing to do with our understanding of European values, the rule of law, democracy, and media freedom,” Roth said. The move is likely to further exacerbate tensions between Germany and Turkey, and as a result, hasten the collapse of Merkel’s “EU-Turkey Deal” which was supposed to make Turkey halt the invasion of Europe from its shores. Merkel’s latest move is therefore likely to reignite the 2015 invasion from Turkey, and add a further dimension to the matter by giving any “Turks” the opportunity to invade Europe as well. Lawrence University has denied official recognition to the Students for Free Thought student group following reports that a student, who called her peers “white terrorists on training wheels," had been kicked out of an event for being disruptive. While the school won't specify who filed the "bias reports," university officials said they are investigating the incident. The Lawrentian, Lawrence University’s student publication, reports the Students for Free Thought group on campus hosted a showing of the 2015 film “Can We Take a Joke” on May 17. The day before the event, Kimberly Barrett, the school’s vice president for Diversity and Inclusion and associate dean of the faculty, sent an email encouraging students and community members to view the film and have an “authentic discussion” over the content. Attendees at the discussion after the film decried free speech. One student claimed minorities in the United States are not afforded free speech and that it is only a “privilege” for some. A day after Conteh’s piece, Lawrence University issued a statement addressing the matter. According to the statement by Barrett, the school received “several bias incident reports” about the incident between Conteh and the other member of the audience. The statement claims, “Each of these reports will be reviewed and acted upon,” and that the Lawrence University Community Council will take these reports into consideration when determining whether to officially recognize the Students for Free Thought. WBAY reports the LUCC ultimately decided, shortly after the letter from Barrett, to deny recognition to the Students for Free Thought. has recently issued a strongly-worded call for reparations for black U.S.
A correspondent asks: I Wonder if they would take confederate dollars. 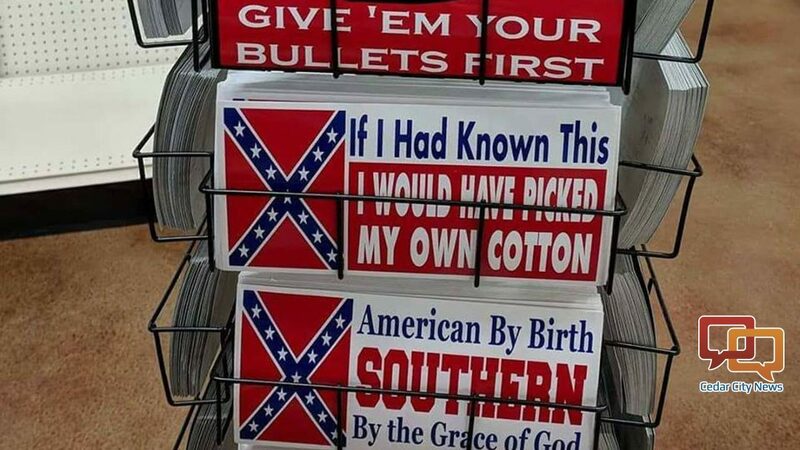 After all I imagine they were bought with confederate money at that time. A one-way boat ride to any African country of their choice is the only 'reparation' for those who want to claim injury due to slavery. With the way Jews are ramping up the racial hatred and tearing down all standards and institutions here in an attempt to incite a hot race war, getting out of America now might be a generous deal for Blacks.